The Regional Communications Center in Skowhegan services 19 Kennebec County towns as well as all of Somerset County. SKOWHEGAN — The Somerset County Regional Communication Center in Skowhegan will be dropping the cities of Augusta and Hallowell from emergency 911 dispatch services when the fiscal year expires at the end of June. Communications Director Mike Smith said 24 percent of all 911 calls to Somerset so far this year were generated from the two Kennebec County communities and it was either add more staff or cut services. He chose to cut services. The loss in revenue to Somerset County will be about $42,200, because each of the 19 Kennebec County towns pays its share for contracted 911 services. There will be no lay-offs at the Somerset County RCC. The annual revenue taken in by the communications center is $169,000 — all from the 19 contracts with Kennebec County towns and cities which rolls into the general county budget. In the coming year, without Augusta and Hallowell, the projected revenue at the call center is about $127,400. Last year the Somerset Public Service Answering Point received more than 101,000 calls for service. The average dispatcher across the state of Maine answers 1,300 911 calls a year, but in Somerset that number is 2,900, according to Smith. Calls for service have steadily increased over the past five years, Smith said. In 2015 there were 81,997 total calls for service. In 2016 – 88,885 total calls for service or an 8.3 percent increase from 2015. In 2017 – 94,052 total calls for service or a 6 percent increase from 2016. In 2018 – 101,235 total calls for service or a 7 percent increase from 2017. 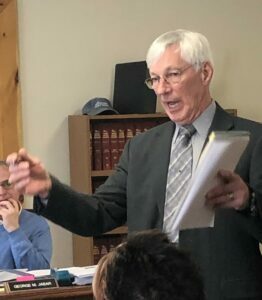 Kennebec County communities are charged a rate based on the level of services, starting at a base rate of $1.38 per capita based on the 2010 census. Smith said he met with Augusta Police Chief Jared Mills and Hallowell Police Chief Eric Nason to discuss the plan. The Legislature in 2003 voted to reduce the number of public safety answering points — PSAPs — in the state from 48 to between 16 and 24. The number of PSAPs currently stands at 24 statewide, Smith said. 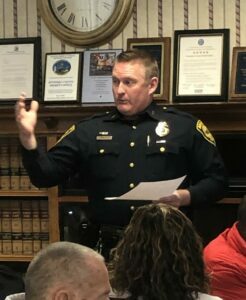 Chief Mills at Augusta Police Department said the conversation with Smith was indeed cordial and that he understands why the change is taking place. Mills said his staff has been in contact with the Augusta Regional Communications Center, which is the PSAP for police, fire and medical calls and the PSAP that is required to provide those services to the city of Augusta. He said they will be asking the Augusta Police Department for estimates on the cost for PSAP services. Nason, the Hallowell police chief, could not be reached for comment this week. 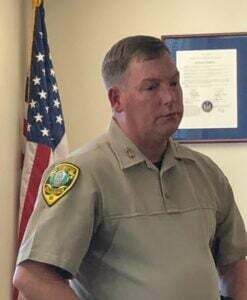 Kennebec County Sheriff Ken Mason said Friday that earlier problems with dispatching changes and funding issues have been resolved. 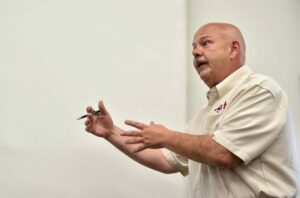 Since August, the Department of Public Safety’s director of emergency communications, Cliff Wells, had said that the Augusta dispatch center he oversees no longer would be able to accommodate the needs of 22 Kennebec County municipalities and KSO after June 30 because of a software change. Some communities would have been affected more than others in dispatching changes, and the eight municipalities in Kennebec County that do not dispatch out of the state-run Augusta RCC — Augusta, Clinton, Hallowell, Monmouth, Oakland, Waterville, Winslow and Winthrop — would not have been affected at all. It also was learned that the state-run communications center had been underfunded for several years, affecting staffing levels as well as the services it can provide — and to whom it can provide them. The 22 affected municipalities originally paid $373,780 for the state-run Augusta RCC to dispatch law enforcement. Under the new agreement, they would pay a total of $638,821, Mason said. “The cost to the communities did go up, but Gardiner is paying a substantial amount more — $185,000 — of that cost,” he said. Mason said staffing has increased at the Augusta RCC since services were moved last summer, but they still need to hire more people. Smith, at the Somerset County RCC, said the PSAP system in Maine that has been in operation for the past 15 years is in good shape. “Absolutely, every citizen and visitor in the state of Maine has access to an integrated 911 system that works seamlessly across all PSAPs,” he said. Public Safety Commissioner Michael Sauschuck did not immediately respond to messages for comment on staffing at the Augusta RCC and if the center could handle additional calls for Augusta and Hallowell. Cliff Wells, director of emergency communications for the state Department of Public Safety, which oversees the facility, said staffing shortages reported last summer have largely been filled, but there still are positions that remain vacant. He said he hired 10 or 11 new people since last August when state employee union leaders said that the dispatch center in Augusta, which also handles emergency calls for the southern portion of the state, was down to only 12 dispatchers out of the estimated 35 positions allocated to the center. “It’s in much better shape, but I still have some more vacancies to fill to get me to full staff,” he said. Wells said his staff will have to reassess the situation if Augusta and Hallowell want to be included in dispatch services. Wells said the current staff at the communications center is about 25 dispatchers, but they are still in the hiring process to fill some of the existing vacancies. He said he would need to hire five or seven more people to take care of the existing workload — that’s without the addition of Augusta and Hallowell. As for the state of the state PSAP system, Wells said it is on track for public safety. At the Somerset County dispatch center there are six work stations, each with eight computer screens operated by the dispatcher. Everything is done on the screen and the training can take as much as six months to be fully compliant. There are 16 “approved positions” at the center for 24/7 services — 12 dispatchers, four supervisors, plus a deputy director and Smith, who also is half-time director of emergency management for the county. Smith said Somerset is the third busiest communications center in Maine, behind the Portland Police Department and Penobscot County. He said when the PSAP consolidation was underway in 2003, cities and towns in Kennebec County began looking around for possible locations. Smith said that all 911 call centers are dispatch centers, but not all dispatch centers are 911 centers. There will be 17 Kennebec County communities left for 911 dispatch services once the changes take place at the end of June. Smith stressed that the locations served by Somerset are for 911 services only. 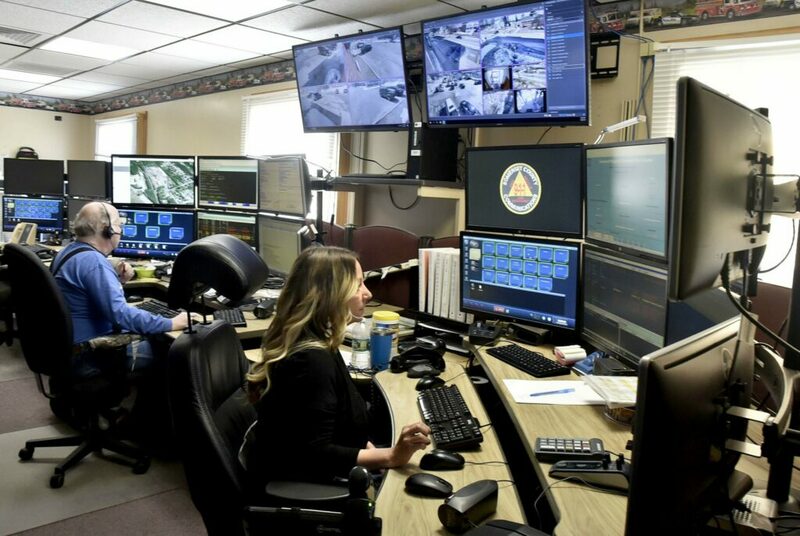 Routine dispatching services are conducted by the Waterville Communications Center, the Department of Public Safety’s Central Maine Regional Communications Center, the Winthrop Police Department and Augusta Police Department.